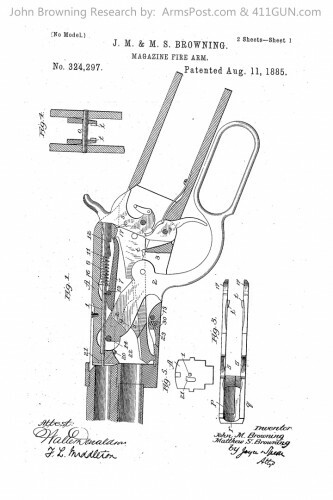 John Moses Browning applied with the US Patent Office on May 26, 1885 for this patent. 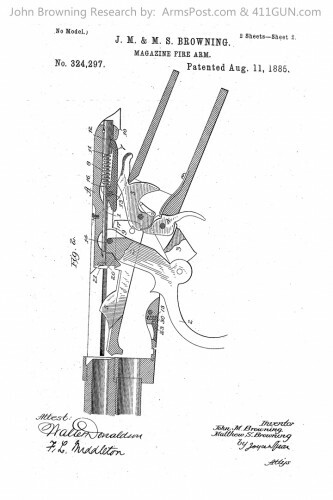 It was approved on August 11, 1885 and granted US Patent 324297. This design was also purchased by Winchester but again did not get manufactured. The design was a lever action chambered in .45 caliber.